A couple of weekends ago, we had a whole host of family members descending on us in Christchurch. My Aunt, cousins and Grandma were staying at my parents’ house and wanted to come up and see where Tom and I live as they live up north (in Durham) and hadn’t been to our house before. We were also meeting my brother’s girlfriend for the first time so we were excited to plan a proper local day out and show them the sights and sounds of where we live. 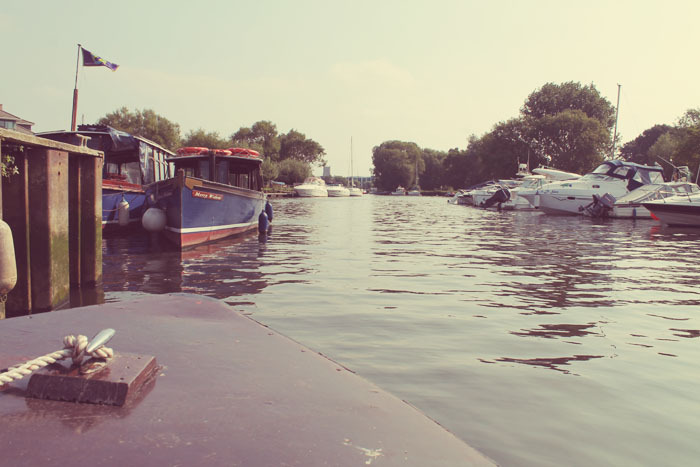 We started with a boat trip along the river and round the harbour. 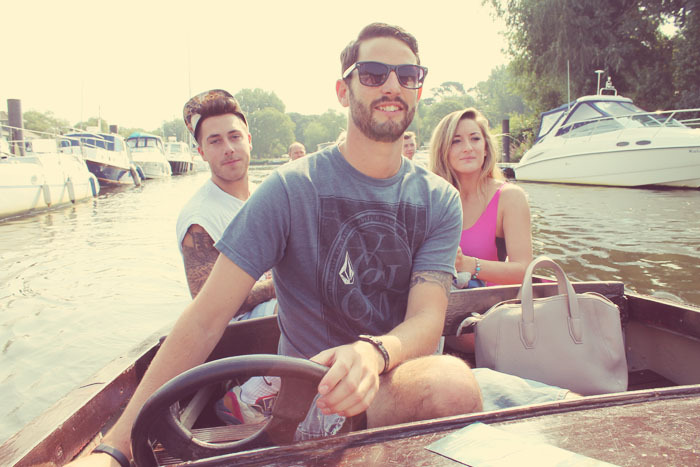 We rented two boats – of course my Coastguard boyfriend took the wheel! In the background is also my brother (in his cat hat!) and his lovely girlfriend Ellie, my cousin (also called Ellie) was sat next to me so missed being snapped! 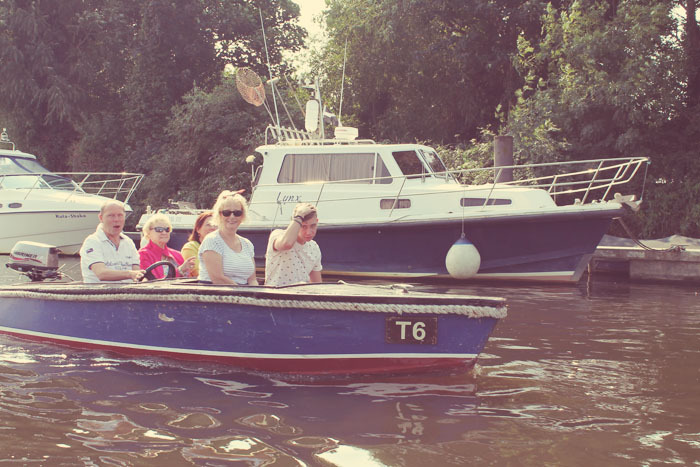 In the other boat is my Dad (driving), my Grandma, Aunt, my Mum in her trendy bandana and Breton top and my cousin Lewis. It was really fun to see lots of local sights we see regularly but from a different perspective. 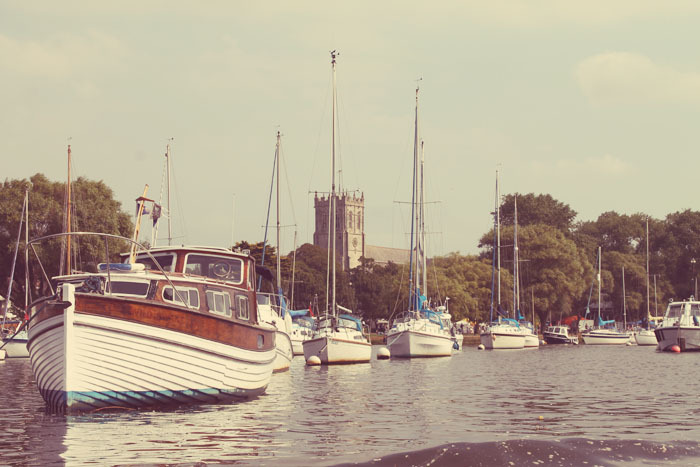 Christchurch Harbour is so pretty with the Priory in the background. No visit to the New Forest is complete without a visit to a country pub and so we convoyed over to my favourite pub, The Hobler, in Lymington, for a big lunch. 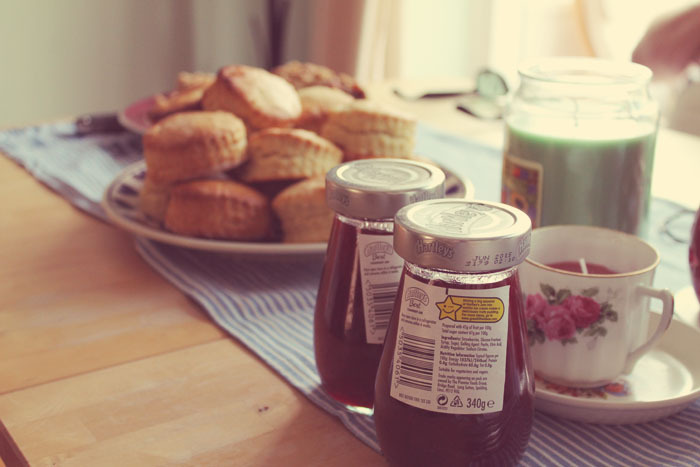 There were jugs of Pimms, baked camemberts and all manner of other yummy foods. After (or before) any big pub lunch is always a walk to blast the cobwebs away. 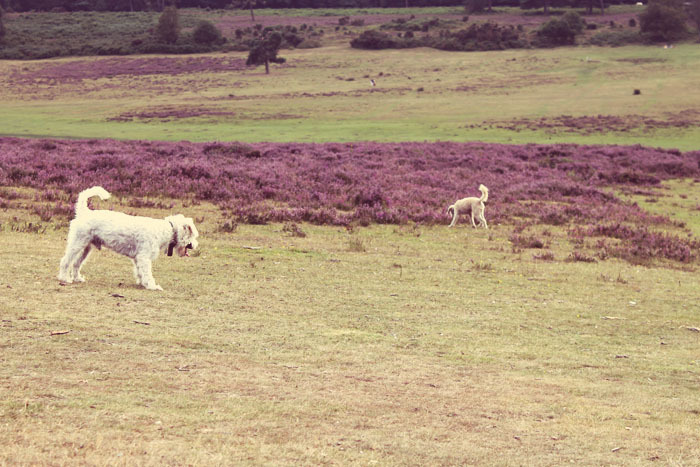 Tom and I have a new favourite walk near Brockenhurst which is perfect for the dogs as the open heathlands mean you can always see them wherever they run off to! Bodhi, as always, was thrilled to be reunited with his best friend Henry. Being the awesome host that she is, even when not in her own home, my Mum had brought a traditional Cornish cream tea to have when back home from the walk. 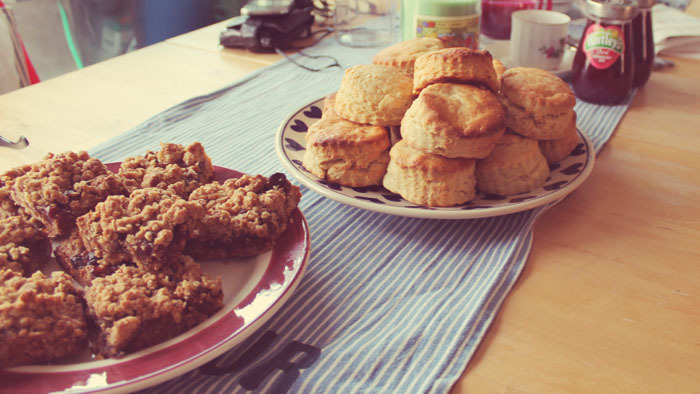 She had baked scones and date and honey slices which are a bit of a favourite of mine. After tea and scones we waved off the family, sad to see them go. 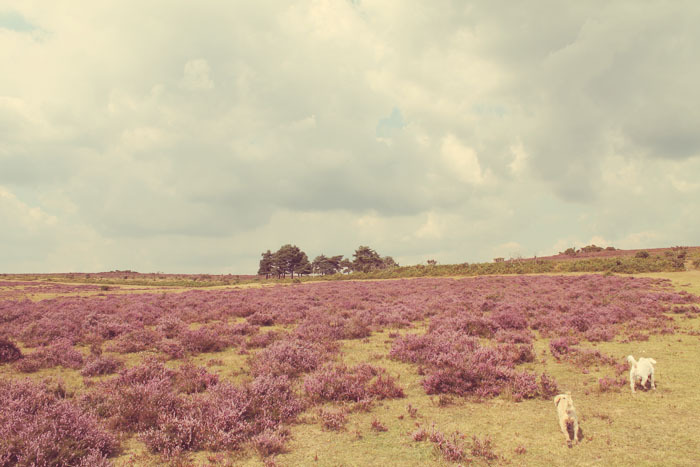 It was such a lovely day though and I think we really showed them how much we love where we live. It really is the perfect place to be on a sunny day. As I write this I am looking out on a downpour of torrential rain and some particularly grey skies whilst hugging a mug of green tea and considering putting the heating on so I’m rather cherishing the memories of this perfect day. PS – If you’re local to where I live to, don’t miss out on my £50 Poole HomeSense voucher giveaway.